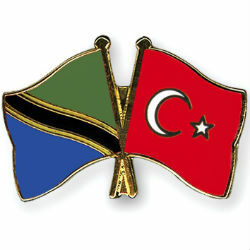 Tanzanian businessmen will attend the four-day Turkey-East Africa Trade Bridge 2014 forum in Turkey on Monday 10th February 2014. The forum which has been organised by TUSCON, the Confederation of Businessmen and Industrialist of Turkey, will take place in Gaziantep City, Southern Turkey and will host 135 African participants along with 500 Turkish exporters. It is hoped that the Tanzanian delegation will be able to learn from the experiences of attendants from importers and distributers from other countries. Ali Akiz, President of the Alliance of Businessmen and Industrialists of Tanzania and Turkey (ABITAT), explained that the event would present new opportunities and be attended by businesses from a wide variety of sectors. Earlier in January a Turkish business delegation visited Tanzania and encouraged Tanzanian businesses to seek partnerships that would facilitate investment opportunities in Tanzania. ABITAT was founded in August 2012 in Dar es salaam by a distinguished group of Turkish and Tanzania businessmen, to promote social and economic relations between Turkey and Tanzania. TUSKON today represents 45,000 businessmen and more than 120,000 companies and it is the biggest business NGO in Turkey.